Did you purchase your hairpiece from Hollywood Lace, Hair Direct or Hairpiece Warehouse? You have your new hairpiece and now you need it cut in. Where to go? It's a pleasure for us to professionally cut these quality hairpieces in for you. We have been doing cut-ins since 1975! That's over 40 years of satisfied customers from Pittsburgh and the surrounding area. We carry Jorgen Brand Products, Tapes, and other hair care products. Bought your new hairpiece online and need it cut-in? Look no further! Call Shaheen's and we will expertly cut your new hairpiece in using our proven method of cutting, which has been second to none for more than 40 years. Remember, it's not how much your hairpiece costs, but how it is cut and styled. We have proudly served Western PA since 1975. 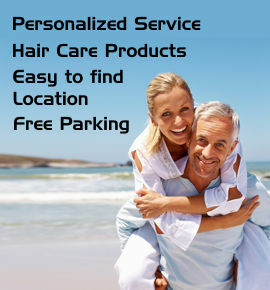 Complete line of Hair Replacement Products. Scissor cuts / clipper cuts / razor cuts available. We are the best in the Western PA area! Did you buy your hairpiece online and now need it cut-in? You've invested in one or more hairpieces and you want to look your best. Don't be disapointed by going to a friend, relative or someone with little experience. 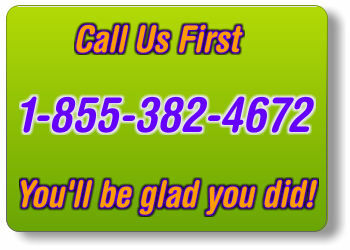 Call 1-855-382-4672 today to set up an appointment. Located just 20 minutes east from downtown Pittsburgh in White Oak, PA, Shaheen's is your destination for private, professional and friendly service for over 40 years. 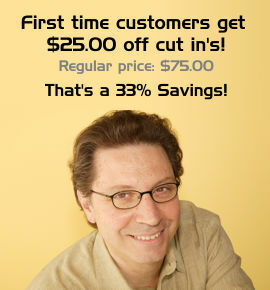 ALL CUT-INS NOW ONLY $50.00! 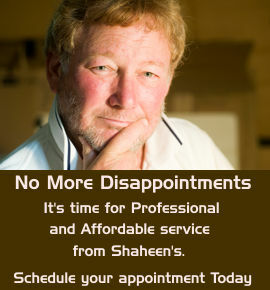 Created and Maintained by Shaheen's Hair for Men & BNS Web Creations. © 2019 Shaheen's Hair for Men. All Rights Reserved.